To fly from St. John's International airport to the Vancouver International airport would involve approximately 6 1/2 hours of flying time (depending on the head wind) and would cover about 3132 miles or 5041 kilometers in Canada speak. A similar distance would be from London, England to Bahrain. You can well imagine how diverse our tastes and opinions about the arts can be solely based on our geographical upbringing. 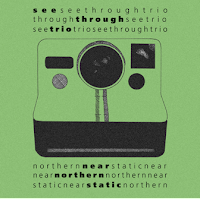 The east is ripe with Celtic music and an underground that hates it. The prairies are coming into their own with country music and an underground that hates it. This roundup looks at some jazz interpretations from the capital, Ottawa, and from the once financial epicenters, Toronto and Montreal, before oil transferred the money away to the west. 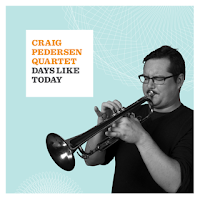 From Ottawa comes the Craig Pedersen Quartet which is comprised of Pedersen on trumpet and composition, Linsey Wellman on alto sax, Joel Kerr on bass and Mike Essoudry behind the drum kit. Days Like Today, Pedersen' debut full length recording, is a wonderful mix of clever composition and free jazz. There are no throw away numbers here. Opening track, "The Baron", is borderline kitschy in a film noir kind of way (sounds like it would be a jazz club favourite) but luckily it didn't follow through and there is no sign of it anywhere else on the album, which is full of well played and fully realized ideas. The sound itself is an ambitious choice as there is little to no reverb present which allows for a very crisp trumpet. An astringent tea for the ears. The title track, "Days Like Today", is a real winner in a pool of very competitive swimmers. 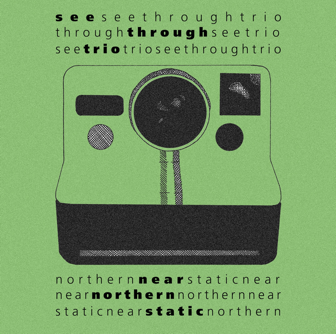 Based out of Toronto, this is the trio's third release. 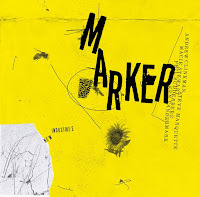 In a similar approach as Pedersen, the band jumps back and forth between sweet intros, which are so familiar that you would think they are covering jazz standards, and free jazz moments. This is a very pleasant listening experience but there always seems that there are more rules that need to be broken. 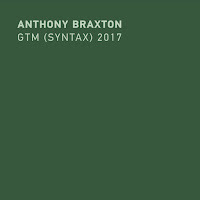 The recording does kick up a notch on "I Got a Little Sidetracked", when the bass gets bowed for different feel and mood which goes a long way in a piano, sax, and bass trio. 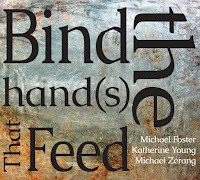 As well as they play together, their personalities get to shine as they each get a solo track to stretch their visions. 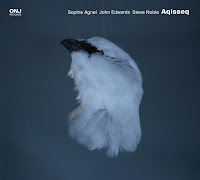 Listen for Tania Gill's piano solo on "On My Sleeve", Mark Laver's sax solo on "Stars and Satellites" and Pete Johnston's bass solo on "On the Square". 92 tracks. Yes, you read that correctly. 92 tracks. 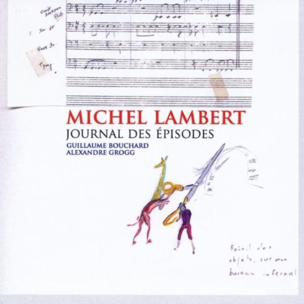 Structurally, this trio is the furthest reaching of the three reviewed and consists of Lambert, (drums and composition) as well as Guillaume Bouchard on bass and Alexandre Grogg on piano. 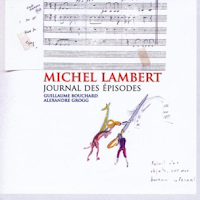 The recording is a selection of Lambert's musical journal entries, a project he has been working on for quite some time now. This Montreal group take these distilled compositions to their very essence and perform them with intensity. When you only have 8 or so seconds to relay your message, you need to be in the pocket at all times, and these guys are. Beware of tracks like track 61, "Mystère", as they will catch you off guard with their emotion. Lambert has a big sounding kit that is recorded well. When he hits a downbeat, sometimes only once a track, it fills the gap between the ear lobe and the brain. He crafts these tracks to become a jazzsaw puzzle that takes some imagination to put together but the final picture is worth the effort. You may even find you mind wandering and wondering what your own musical journal would sound like. Another recent excellent release from a Canadian drummer is Nick Fraser-"Towns and Villages" on the Barnyard label. 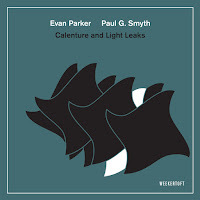 It features Andrew Downing and Rob Clutton on bass and cello, with Tony Malaby on sax. It's really a fascinating listen. The bass and cello work together to provide lots of different textures, and Tony Malaby is great, of course. I don't have that Michel Lambert album, but I can definitely recommend "Out Twice" with Barre Phillips, Milcho Leviev, John Giannelli and Lionel Garcin. I have no douby the one reviewed here is equally good. Great to see my homeland getting this attention. Also regarding the Michel Lambert album, if you're wondering whether emusic's policy of 49 cents per song regardless of the length of the song would apply to this one, it sure does. They have it for 45.08$. I'm not sure if you're up in Canada, and if so where, but if so have you any news from the Fond of Tigers .. per chance? eMusic is sometimes cheap (one album is one track) or extremely expensive. Michel Lambert must be the winner.